Due to the presence of Selerant in three different continents and seven countries we offer a dedicated multilingual help desk to our customers. In case you need technical assistance regarding our products and solutions, you can get in contact with our offices. Our Helpdesk service is active from 9:00 to 13:00 and from 14:00 to 17:00, Monday to Friday. Request technical and regulatory assistance. Check and update the status of your requests/cases. Use the dedicated Case Management System section for a complete overview of your support cases. Selerant Regulatory and Scientific Affairs Dept. 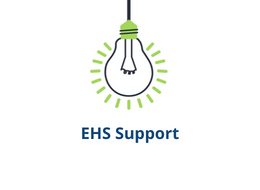 constantly monitor EHS legislative updates, GHS news and alerts from around the world keeping our partners abreast of any important changes. We offer an invaluable regulatory support service for the comprehension and the interpretation of the legislation regarding the labeling and compilation of Safety Data Sheets. To ask questions to our RSA Dept. please write an email to regulatory@selerant.com.